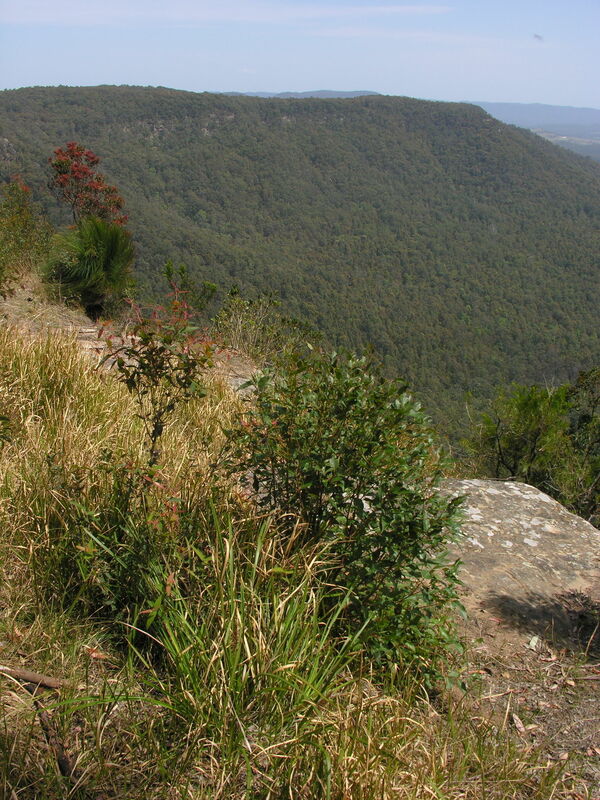 Great North Walk: Australia's Best Bushwalk is a 230.9 kilometer moderately trafficked point-to-point trail located near Newcastle, New South Wales, Australia that features beautiful wild flowers and is rated as difficult. The trail offers a number of activity options and is accessible year-round. Dogs are also able to use this trail. The Great North Walk connects New South Wales' two largest cities from the obelisk in Australia's first planned town square to the wharf from which its oldest home-built steamship still sails in over 250 kilometres of history, mystery and fascination. The trail only just turned 21 in 2009 although some paths, originally made by indigenous people, are many tens of thousands of years old; it has been completed in 66 hours (fastest time yet!) and is walked over decades; its story impinges on diverse faiths passing Australia's largest provincial Anglican cathedral while the walk's highest peak - Mt Warrawolong (641 m) - is the site of Aboriginal ceremonies; be amazed to walk right beside examples of the oldest rock engravings in the world and modern street art; cross dramatic and beautiful waterways by means as diverse as the world's widest steel-arch bridge to its oldest operating river postman's boat; be puzzled by en route mysteries including more than a dozen murders, disappearances and inexplicable deaths; wind past the southern hemisphere's largest salt-water swimming pool, the park dedicated to our longest-lived cartoon character, the site of the first coal mine and see where the first Brooklyn Railway Bridge (1890) was erected on the deepest pier then in Australia (49.4 m). Most of all enjoy Australia's social history and natural environment on a bush-hike that is accessible to virtually everyone. Join the Ozzie Bushies for a best-ever life experience! Built in 1850 this obelisk replaced a flour-grinding windmill demolished in 1847. The mill had become a crucial navigation aid for ships' captains entering the tricky harbour of Newcastle and its removal posed serious hazard to shipping of the era. 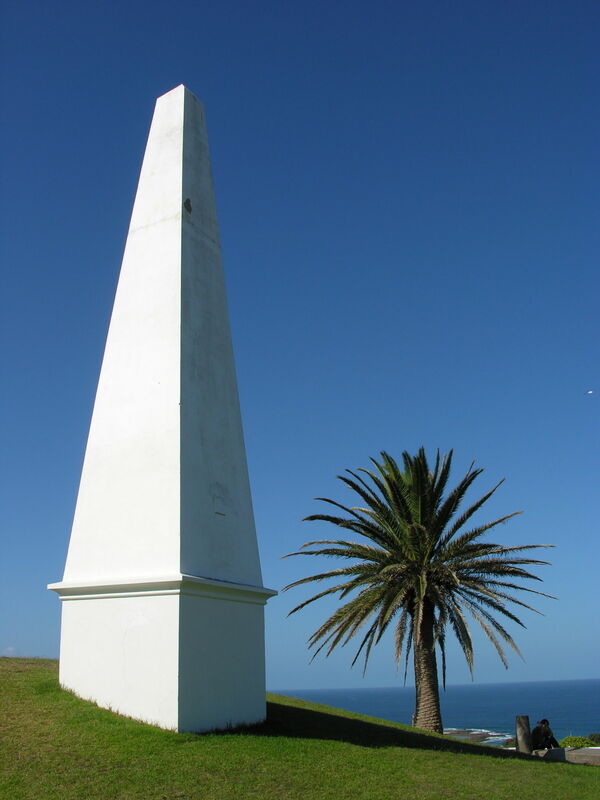 Positioned on a prominent hill overlooking this busy harbour this historic obelisk is in many ways a 'more fitting' end (or beginning) marker of Australia's Great North Walk (http://www.thegreatnorthwalk.com ) even though the official start/end point is Queen's Wharf near the main Newcastle railway station. 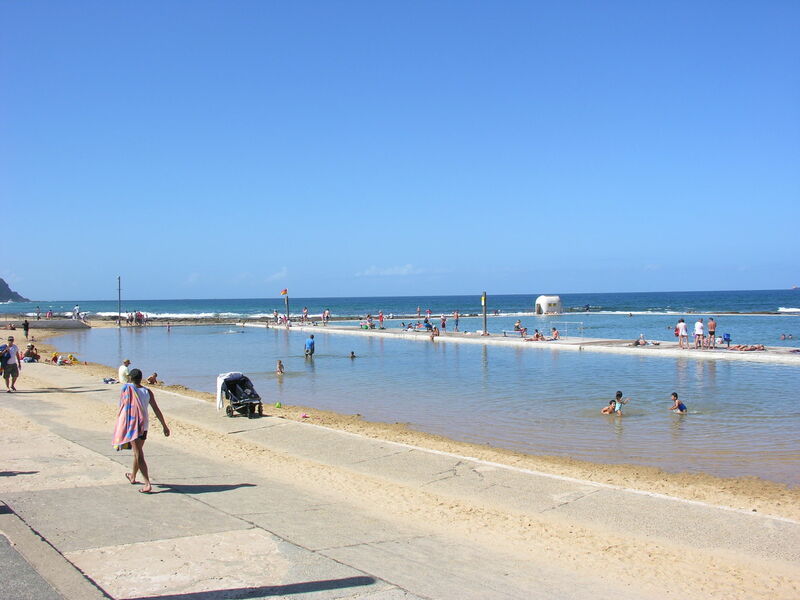 The oldest swimming baths in NSW date from around 1820 when a natural pool was enlarged by convict labour under the direction of soldiers and on the orders of Major James Thomas Morisset, Commandant of the Newcastle settlement from 1819 to 1822. Its original size is estimated as 15 feet (about 5m) long, seven feet (2.2m) wide and six feet (2m) deep. These baths originally served as Morisset's private bathing pool giving rise to their other name: the Commandant's Bath. Following this, the bathing facilities were reserved for military use becoming a public pool in 1863. The terrain north of the new British settlement of Sydney rises rapidly to a high sandstone plateau on the northern bank of the Hawkesbury River falls away into the Hunter River Valley still further north. This high terrain posed an impenetrable barrier to establishing a land route from Sydney to Newcastle. Heaton Gap or simply "the Gap", named for Richard Heaton, an English convict who became a timber cutter in the area, is geological formation that was first known as Brunkerville Gap, Broken-back Gap and remains to today an important saddle between the Watagan Mountains and the Awaba Forests. The Watagans provide an important habitat for over 150 native animal species including wallabies, gliders, brush and ring-tailed possums, amphibians and reptiles and more than 130 species of birds. Echidnas, although rare, can be frequently seen foraging on the verges of the forest tracks. 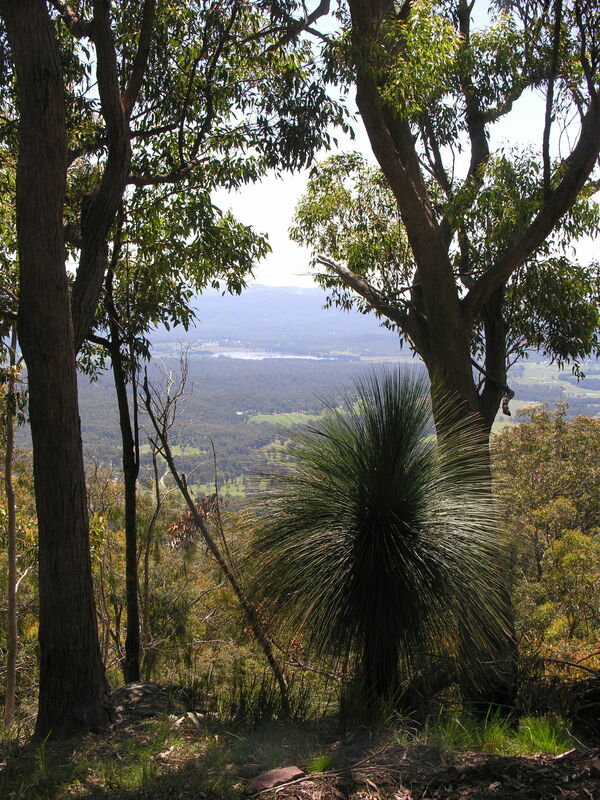 The Watagan Mountains has been a NSW state forest for many years, but part of the area is now in the new Watagan National Park. Walking off-track in the valleys is challenging due to the thick rainforest vegetation, and leeches. However, there is a good network of roads and walking trails. Lookouts offer stunning views to the north down into the Hunter Valley west towards Paxton and east towards Newcastle. From here you can view the new industrial life of Newcastle - built on coal and powering the state. Mines and power stations with their linear power-lines criss-cross and undermine the area. In 2008, this region became the centre of an anti-coal, pro-greenhouse action protest in Australia. Interestingly, the state forest here was the first in the world to realize the potential to sell to a carbon trading market the benefits provided by capturing carbon in new planted trees. St Barnabas' Church, Yarramalong: the oldest remaining church in Wyong Shire is tended by volunteers. Visit the pioneer churchyard (round the back) to view the grave of William Bevan and other early settlers. 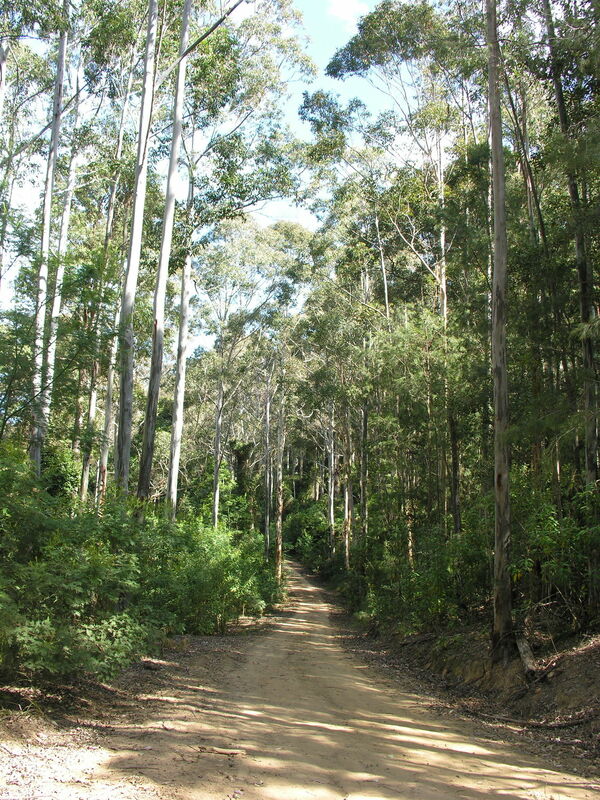 Located on Ravensdale Road, Yarramalong on the Great North Walk less than 1 km north out of the centre of Yarramalong. Watch the video (http://vimeo.com/10971506 ). Seventy-five of the known 76 Banksia species occur naturally only in Australia. These strange plants are named to honour Banksias Sir Joseph Banks (1743-1820), who, in 1770 while travelling with James Cook on the Endeavour, was the first European to collect specimens. A number of Banksia cultivars have also been developed. The flowers occur in cylindrical spikes between 50 mm to 100 mm long. The seeds are enclosed in follicles attached to a woody cone and are generally retained within the cone until burnt. Many Australians first learn about Banksias from May Gibbs delightful children's stories of Old Man Banksia in the tales of Snugglepot and Cuddlepie. These impressive waterfalls are a short (but tough) 3 km diversion off the Great North Walk proper takes you to this area. Observation platforms provide excellent views of the 8 metre falls and the rainforest. After a steep track with many steps, the Falls Walking Track descends to Floods Creek past two stages of waterfalls and ends at the base of the falls. There is evidence of tool grinding grooves in the rocks. Mooney Mooney Creek Bridge that carries the F3 Freeway which now runs between Sydney to Newcastle. The Great North Walk trail actually takes you so you can stand beneath the towering arches of this impressive construction. The bridge, nearly half a kilometre long and standing 76 m above your head and the adjacent the river is the highest road bridge in Australia. It was completed in 1988 and opened in December of that year: just in time for the Bicentennial celebrations. This beautiful bridge has been the site of some tragic accidents and a few early suicides causing a side fence to be erected in 2003. Further south along the Great North Walk is the 'Old' Mooney Mooney Bridge, built in 1930, which was the only conduit for vehicles crossing Mooney Mooney Creek on the Pacific Highway before the Freeway opened. Brooklyn Obelisk: if you spend much time around Brooklyn Wharf, you are almost bound to find the obelisk on today's walk. It commemorates the discovery and naming of the Hawkesbury River in 1789 by the earliest European explorer in Australia, Governor Arthur Phillip. It also recognizes the importance of the railways to this area being erected just before World War II and unveiled by the NSW Commissioner for Railways, T. J. Hartigan, on 17 June 1939. On the Great North Walk. Berowra Waters Engraving: just 200 m from an easy-to-reach car park and on the Great North Walk track itself, this rock is often overlooked even by those who know this trail well. From the F3 Freeway take the Berowra turning and go down Berowra Waters Road to the ferry. Walk north along the track by the side of the creek past the car park and look for a large rock next to the path on your right. The engravings are a little tricky to decipher but include a man in a head-dress, an animal (perhaps a koala) and another figure. To build Woolwich Dock they dug out more than 20,000 tonnes of stone to create the deep docking and build up the sea-wall. There are a series of signs in the Goat Paddock garden (opposite the Woolwich Pier Hotel). A 15-20 minute tour of the Goat Paddock rewards the walker with a brief history of the remarkable Mort's Dock. The Atlas Engineering Company established their first ship repair workshops here at Clarkes Point in 1884. Four years later, the workshops were taken over by Mort's Dock Co that dug out this very impressive 188 m by 27 m dry dock. When it opened in December 1901, it was the largest and longest dry dock in Australia: a title sustained (partly as a result of enlargement to 260 m) until finally overtaken by the Captain Cook Graving Dock completed at Garden Island in 1945. Hike in one long walk (10 days to 2 weeks) and camp on track-based sites or walk in a series of day trips or weekend jaunts staying at local B&Bs, motels or hotels.